In Acts 2:40-47, we have the first authoritative description of the first Christians and, in turn, true Christianity. Therefore, we are taking five weeks to unpack true Christianity. This week we get insight into the first of four “vital signs” of true Christianity: redeemed community. True Christianity results in a new community identity, new devotion and a new character. 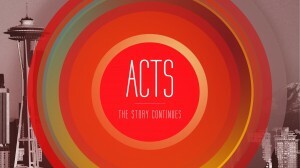 Last week we began a short series-within-a-series on true Christianity, based on Acts 2:40-47. The premise of this mini-series is simple. What everyone in this city needs is Jesus and the tragedy is that they do not know this. One of main reasons for this is that their ideas of and experiences with Christianity are often as far from the real things as possible. Generally speaking, there is a lot of confusion about what Christianity is, what the church is and what God’s purposes in the world are. So, we’re taking some time to unpack all of this at the end of the second chapter of Acts, where we have the first authoritative snapshot of the early Christian church. Last week we saw that true Christianity is God-initiated (vs. something we “pick up”), Jesus-centered (vs Jesus-on-the-periphery), involving the entire person (vs just a part of life). Over the next four weeks we’re going to drill down into the particulars and examine four vital signs of true Christianity that we see here. These vital signs are for every Christian church and every Christian. True Christianity creates a new community, shaped by a new truth, engaged in new worship, sent on a new mission. The church is a vital, living organism; not a dead, irrelevant institution. Life always expresses itself. There is always a vitality about living things. This is also true of life in Christ. If you’re a Christian these vital signs should be present in your life (community, truth, worship, mission). First, the terms “fellowship” and “community” are often used in ways that empty their meaning. For example, some churches have a “fellowship hall”. Fellowship happens in the fellowship hall. In this sense, “fellowship” is relegated to eating muffins and drinking tea. Or, some church practice exchanging the “fellowship” when you meet your neighbors, pretend to be nice and quickly sit down. In this sense, “fellowship” is shaking hands. Or, for some, it brings up the image of sitting around asking one another “how are you really doing?” In this sense, “fellowship” only happens when you’re sharing deeply. None of these grasp the biblical idea of fellowship. Second, our culture elevates independence; esp Seattle! We glorify the pioneer, entrepreneur, indie music! Independence is an idol in our culture so we naturally resist and push against any threat to it. When we bring this into the church it ends up destroying the powerful counter-cultural witness. First, true Christianity results in a new community identity, not just an activity. For Christians, community with other Christians is a matter of identity, not just activity. Christian community is deeply connected to who we are in Christ, not just what we do. In Christ we gain new individual identities (Ex. child of God), but we also new corporate identity (ie church). This makes Christian community different than every other community. We receive it; We don’t sign up for it. First, conversions are not seen individualistically, but in the plural. (“saved” = “added to their number” vs47) They became Christians and part of the church in a single movement. To be “saved” is to be incorporated into deep relationship w/ a church body, not just w/ Jesus. Here Christianity always takes place in the plural. (Ex. “they” 42, “themselves” 42, “fellowship”42, “every soul” 43, “all” 44, “together” 44, “in common” 44, “they” 45, “all” 45, “together” 46, “they” 46, “hearts” 46, “their number” 47) We’re not talking about vague idea “I belong to the universal invisible church” but local, real, flesh/blood XNs. Second, to become a Christian is to be part of a new generation. (cf Phil 2:15) When Peter says “Save yourselves from this crooked generation.” (vs40) What is he calling them to? He is not addressing just individual sinners, but those who participate in the whole mindset and worldview of their generation. To be a Christian is to put aside mindset of world and allow heart/mind to be shaped by Spirit and truth of God. This changes how we view everything, including: relationships, family, work, race, culture all seen in a new light. The average Seattlite thinks only of things in this world: money, success, family, drink, excitement, pleasure, etc. But the Christians outlook is entirely different, seeing through this world into the next. In this sense, the church is not just a collection of saved individuals but a new generation, a counter-cultural people displaying a new way to be human. Christian community is fundamental to what it means to be a Christian. When we place our faith in Christ we become part of a new people who gather around a Person. By faith in Jesus, we now belong to one another b/c we now belong to the same God. In a nation of independent people we don’t naturally think about being united w/ a corporate body. Too often we think of living our own lives and then doing our duty by going to church, but that is not true Christianity. By becoming a Christian, you are saying that I belong to God and I belong to my brothers and sisters in Christ. It is not that I belong to God and then make a decision to join a local church. Being in Christ means being in Christ w/ those who are in Christ. That is our identity. It is possible to be a Christian outside of this community like its possible to run from your family or for a severed limb to survive without the body. “If the church is the body of Christ, then we should not live as disembodied Christians.” (Chester) Of course you can, but it is not what you should do; no health, vibrancy, creates questions about relationship to body. Therefore, fellowship ≠ eating muffins together. The church is a new family of forgiven, loved, redeemed people of God in Jesus. To be a Christian is to be given a new identity, that includes being part of a new people. There is no individual Christianity. To be a Christian is to be part of the church in community. Christianity is NOT a social formality, not a club, not an optional exercise if you’re schedule is clear. As a XN it should be at the middle of your schedule. Other things revolve around it. Q: Are you living in community as an overflow of your identity or as just another activity? It is a ball to juggle or is it just your family? Second, true Christianity results in a new devoted, not occasional, community. Q: Are you intentional with a community of Christians w/in the church? REGULAR. It was daily (v46 “day by day”). They did not just see one another on Sundays but were involved in each other’s daily lives. Point is not so much that it was every day but that it was regular. They shared and lived life together. The gathered in both large groups (temple) and small groups (home). Every Christian should belong to a group small enough to get to know and be known by others. Q: Are you in regular community w/ followers of Jesus? PERSONAL. (vs44 “all things in common”) They had all things in common. This was not some early form of communism. They sold as any had need. Apparently, they still owned their homes. Point? They were functioning like a family. Ready to help anyone in need (vs45). Q: Are you knowing others and being known? Do you share your needs and know the needs? DIVERSE. People from all over known world became Christians. This likely resulted in diverse community. It is easy to try to surround yourself w/ others that are just like you, but the church is a diverse community. God uses diverse, different and difficult people to change your heart. When you think that someone is rubbing you the wrong way, remember God is deeply involved. Q: Are you willing to be in a diverse community? “But there so different! ?” Exactly. Devoted community is intentional, regular, personal and diverse. Can’t fit double-dipping, consuming, occasional Sunday attendance into the book of Acts. That is not true Christianity. When the Spirit is at work among a people it manifests itself as it does here – the result is a new people! It is not easy. It requires work to be intentional, regular, personal and diverse. Third, true Christianity results in a new community character, not just communal duty. The church is a new people gathered around the person and work of Jesus Christ. This results in a people with a new character. They shared their lives, opened their homes, sold their possessions, helped the needy, were glad and generous. We often do just the opposite. We protect our time, protect our possessions, and prioritize our agendas. This is antithetical to the counter-cultural character of the church described in the Bible. In Christ, we are called to function as an alternate society that is defined by other-worldly character and care. Community takes time. Not overnight. Dynamic. Be patient and committed. Takes community to form community. No switch. Takes personal action and commitment. Community is not something you can demand from the church. Not a program to be demanded, but an identity to be lived out. Get started by joining a Cornerstone Community, Zeitgeist, serve, invite folks over, etc. Redeemed people form a redeemed community because they all believe they are in need of a redeemer – and we have one in Jesus Christ. We are a new people brought together around a Person, Jesus Christ. True Christianity results in a NEW community identity, NEW devotion and NEW character. Christian community is a vital sign of your faith. Is there life? Q: For Christians, do you see community w/ other Christians part of your identity or just activity? Q: Are you devoted to community? Q: Are you in community that’s intentional, regular, personal and diverse? Q: Are you living in this sort of community? Q: Is there a group of XNs w/ whom you share your life, are transparent, who feel like family?